Most Westerners now working in Afghanistan spend their time tucked inside the wall of a military compound or embassy. Deborah Rodriguez is one of the very few who lives life smack in the middle of Kabul. Now, Rodriguez tells the story of the beauty school she founded and the vibrant women who were her students there. 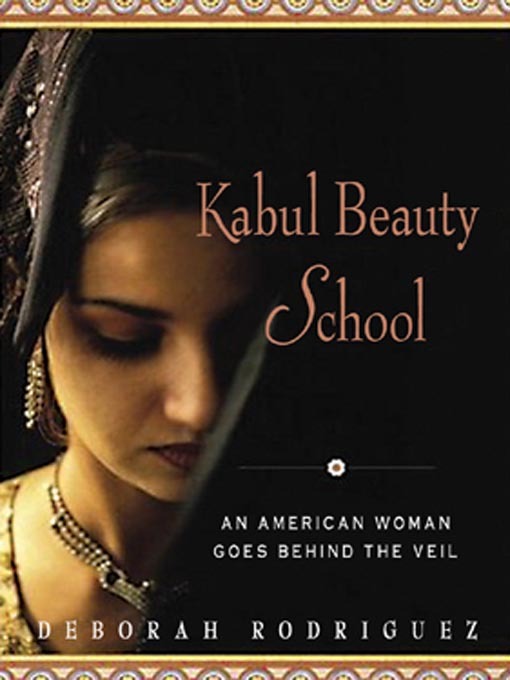 When Rodriguez opened the Kabul Beauty School, she not only empowered her students with a new sense of autonomy—in the strictly patriarchal culture, the beauty school proved a small haven—but also made some of the closest friends of her life. Woven through the book are the stories of her students. There is the newlywed who must fake her own virginity, the twelve-year-old bride who has been sold into marriage to pay her family's debts, and the wife of a member of the Taliban who pursues her training despite her husband's constant beatings. All of these women have a story to tell, and all of them bring their stories to the Kabul Beauty School, where, along with Rodriguez herself, they learn the art of perms, of friendship, and of freedom.